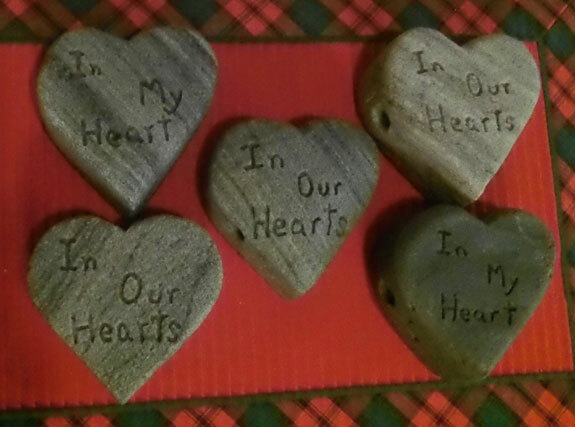 “In Our Hearts” or “In My Heart” is inscibed on the face of the heart. On the reverse side innitials, name of pet or date. Options are limited to characters and spacing. Please call to discus options. 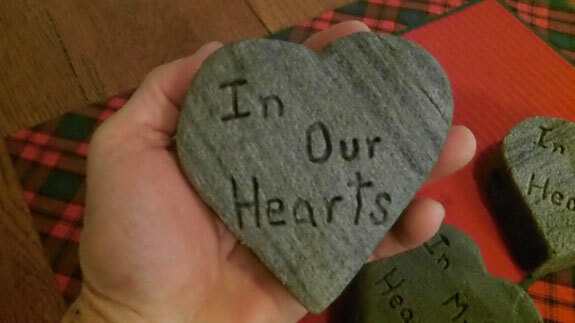 Can be used as a time capsule for a special note, a picture or even ashes of a loved one. Have you ever had a pet pass away? I think we all have. Life does not play by the rules and neither does death. 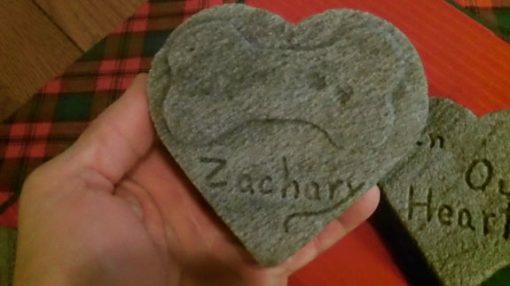 The Heart Stones came about to give you that chance to leave those final words in your heart for a dearly departed pet. This can start that healing process. The stones are all individually hand-sculpted from volcanic rock. Even the inscriptions are done by hand, A hole is drilled through the heart to encase a vinyl tube that is sealed at one end. This creates a chamber where you can place a note to the one that you lost telling them anything and everthing you ever wanted to. After inserting the note into the chamber, it is then sealed off with the provided stopper. 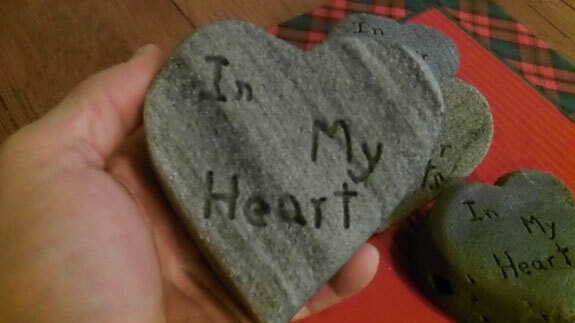 Grave stone hearts are made to go outside because the are hand-sculpted from volcanic stone and can withstand the elements.